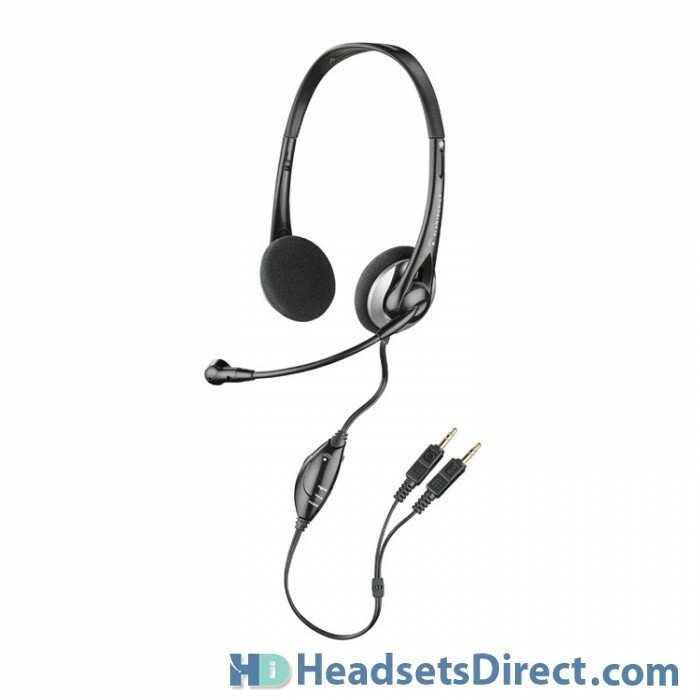 Plantronics .Audio 326 Computer Headset - Headsets Direct, Inc.
Have it all — the Plantronics .Audio 326 computer headset delivers excellent audio quality for Skype, Windows Live, or Yahoo Messenger Internet calling. The Plantronics .Audio 326 has an adjustable boom that brings the microphone close to your mouth, so your callers can hear and understand you clearly during conversations. Advanced noise-canceling features in the microphone of the Plantronics .Audio 326 reduce background noise so your callers only hear you. When you’re listening to music, Podcasts, or DVDs, pillow-soft ear cushions focus full-range stereo sound for maximum enjoyment, while convenient in-line controls put music volume, microphone volume, and mute features at your fingertips. Lightweight and flexible, the Plantronics .Audio 326 headset is comfortable for hours of use.